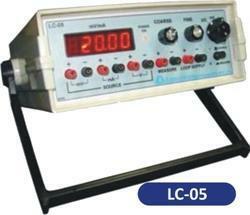 Model LC-06V and LC-06C are only voltage and current source meter with 4 and ½ digit display and source range of 0 to 10V or 0 to 60mV or 0 to 25 mA. Libratherm offers 4 & ½ Digit mV /mA Calibrators model LC-02 and LC-05 which are designed mainly for calibrating temperature and process instruments. Both the models can source and measure the current and voltage signals and hence useful for measuring the sensor outputs as well as for sourcing the signal to the indicator/controller. 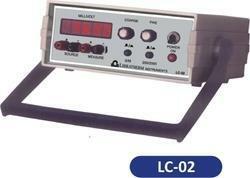 Model LC-03 is a pt-100 source calibrator for sourcing the resistance corresponding to Pt-100 values with accuracy of 0.01Ohms. 12 fixed ranges are equally divided to cover the temperature range from -100.0oC to + 400.0oC, variable potentiometer is also provided for generating variable resistance values. Measures and Simulates mV signals for thermocouples. Measure and source industrial std. 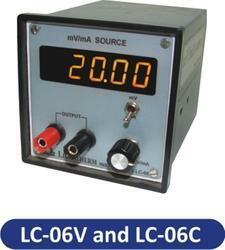 (4-20) mA or 0.001 mV/mA display resolution. Matches std. thermocouples curves to 1oC. 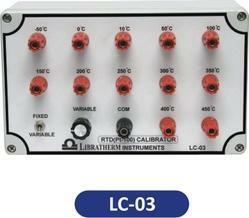 Calibrators also available for RTDs (LC-03). Calibrated using NPL std. reference meter. ABS enclosure and bench top model. Measures temperatures in conjunction with a thermocouple. Calibration and testing of indicators and recorders. Suitable for many routine field servicing and in house test/measuring unit to calibrate temperature indicator / controller. -50 to 400oC with 12 fixed range and one variable. Range: (0.00 to 199.99) mV & (0 to 1999) mV.